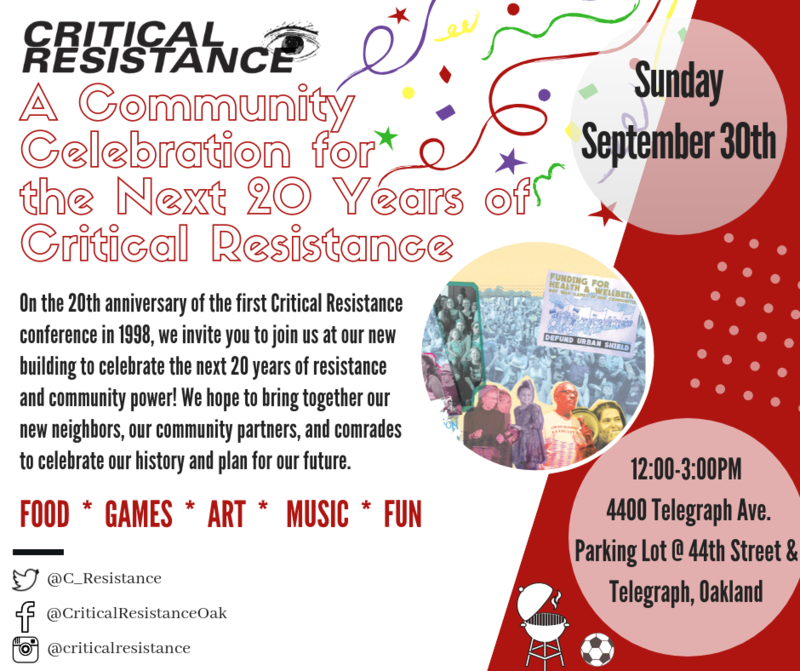 Coinciding with our 20th anniversary, Critical Resistance is entering an exciting new phase of organizational growth and foundation building. As rents in downtown Oakland have been growing untenable in recent years, we set an organizational priority in 2017 on finding a new long-term home for CR that could host our national offices and Oakland chapter work. With 2018 as our 20th anniversary, we imagined that this year would be a year of fundraising to expand our infrastructure and to begin planning for our next twenty years. We didn’t imagine just how incredible this year would become. 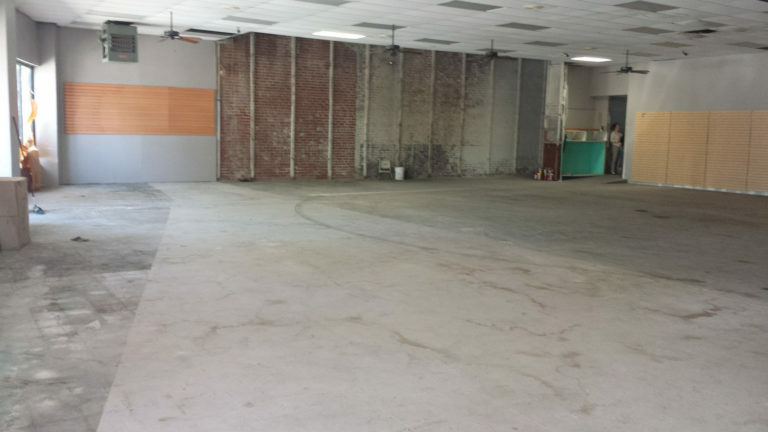 After becoming aware of a building for sale on Telegraph Avenue near MacArthur Bart, we reached out to a loyal donor about supporting us through a process for acquiring the building. Inspired by the 20 years of CR’s history and our movement, her generosity was beyond what we anticipated: she offered to purchase the building for CR’s permanent use and support with renovations and operating costs. The building sale is now completed and it is in our hands! We are excited to share this early news with you all, and invite you to support us entering this next phase. With 9,000 square feet now in the hands of CR, we want to consult with our partner organizations and community stakeholders to learn what our movement needs and to develop a vision for this new resource! We appreciate your support as we usher this process along. All contributions and gifts to CR in this time will help our organization and the movement! Click here for gift options. We look forward to working with you and your organization to bring our dreams to life. Any more questions on the building can be directed to Jess@criticalresistance.org. It’s our birthday! 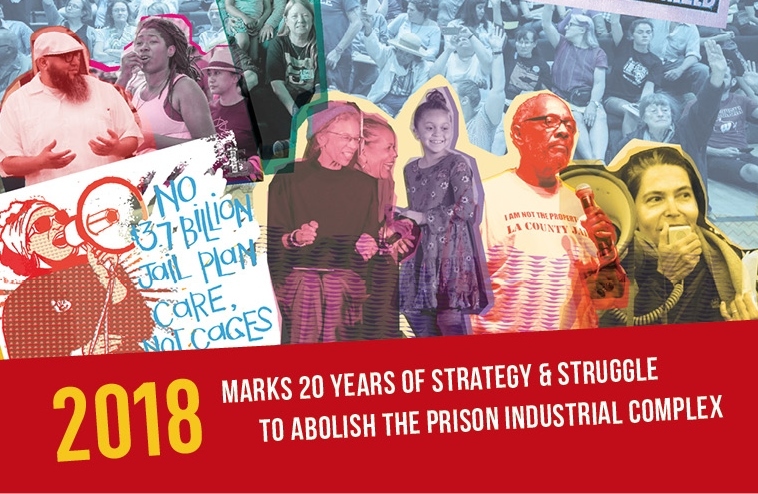 Join us to celebrate 20 years of Critical Resistance and the movement for abolition. 4400 Telegraph Ave. Parking Lot on 44th St & Telegraph, Oakland, CA. Transit: 5 blocks from MacArthur BART. Please share this event widely and RSVP on Facebook event here.